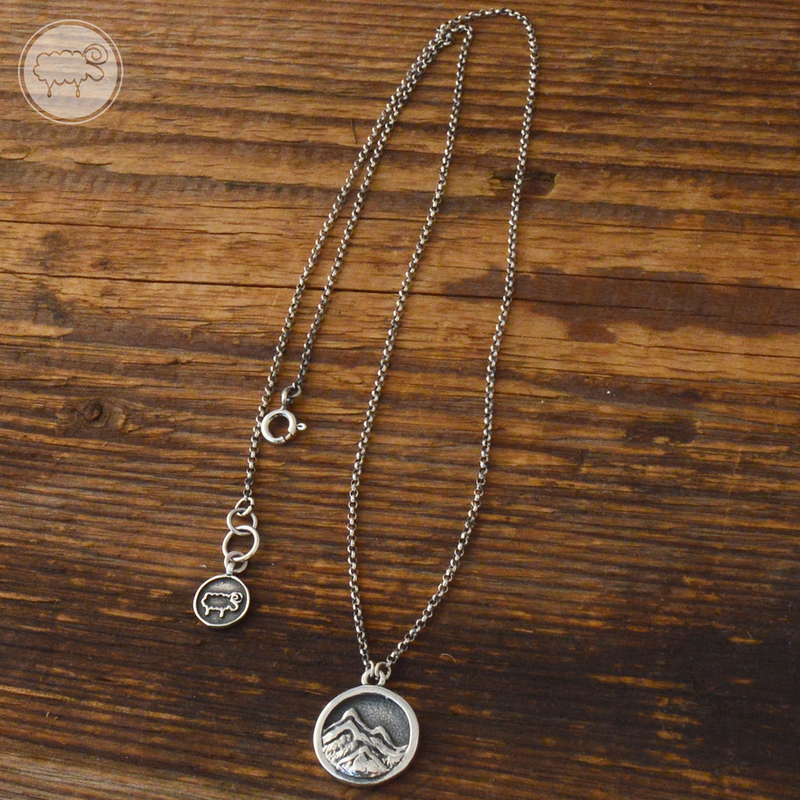 Necklace with mountain pendant made by hand of silver 925 fineness. 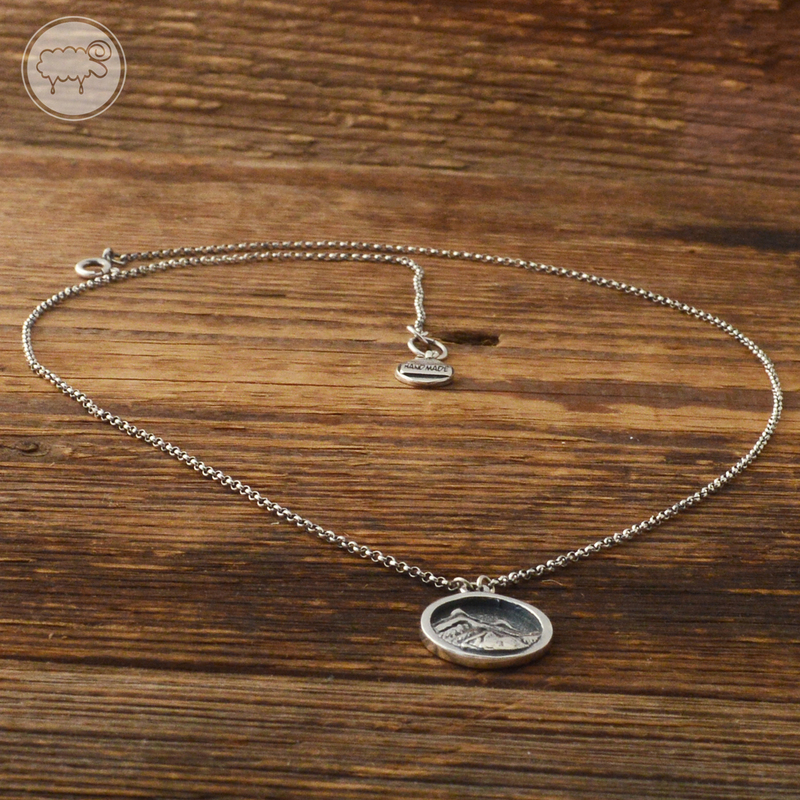 The pendant with a diameter of 14 mm has been fastened on a chain. 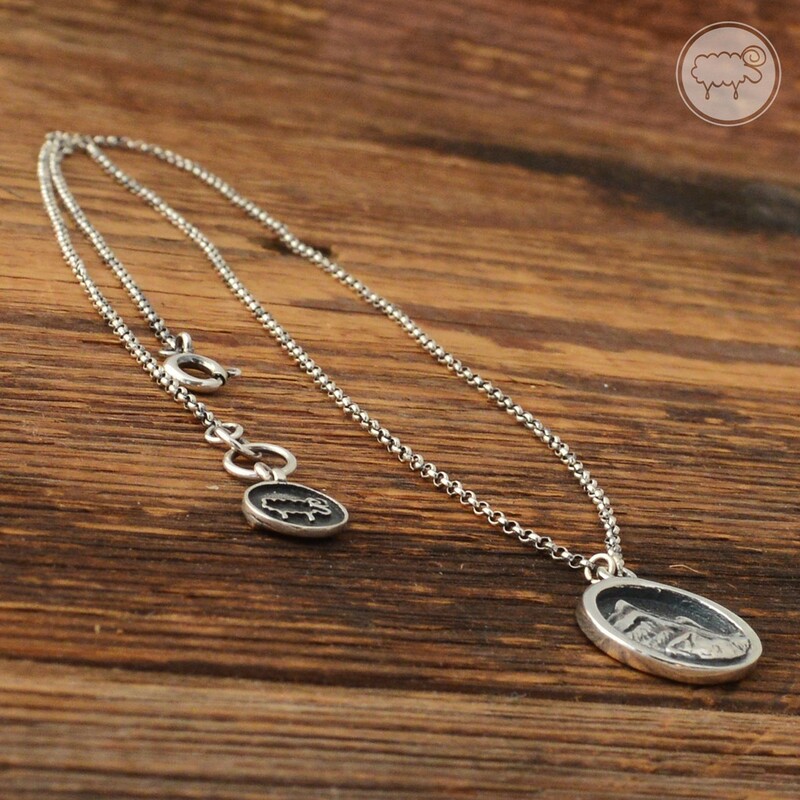 The whole item was hand-oxidized and polished. The jewellery is packed into a fancy box. All the projects of jewellery are of our authorship.